CAPE CANAVERAL — A 12,000-pound Mexican mobile communications satellite was hoisted atop its Atlas 5 rocket today as crews finished assembling the vehicle for United Launch Alliance’s 100th liftoff next week. 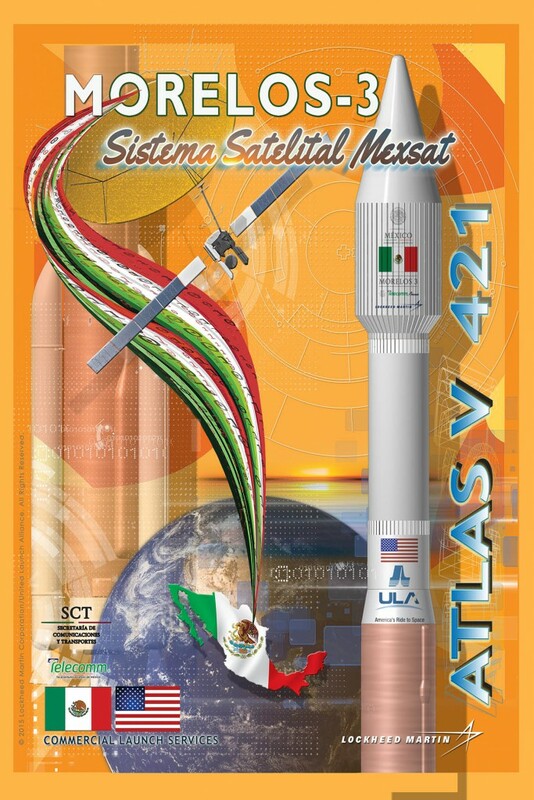 The Friday, Oct. 2 launch will deliver into a high-perigee geosynchronous transfer orbit the Morelos 3 spacecraft on its way to a parking spot 22,300 miles above Earth. The craft is designed to provide 3G+ cellular voice and data services to Mexican military forces, emergency responders, rural educators and hospitals in remote parts of the country. Boeing built the satellite for the Secretaria de Comunicaciones y Transportes of Mexico. 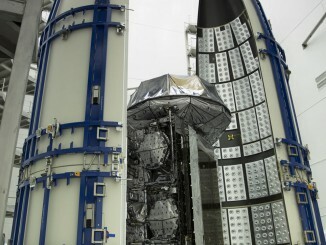 It carries a 72-foot-diameter unfurlable antenna to be expanded once in space. The Morelos 3 spacecraft is tucked inside a 14-foot-diameter, 42-foot-long aluminum nose cone for the ascent through the atmosphere. The shrouded satellite was hauled overnight from nearby Titusville to the Atlas assembly building at Complex 41 for the lift and mate process to top off the rocket at 195 feet tall. It will be a three-hour launch to the satellite’s preliminary orbit, a highly elliptical dropoff point that features two firings by the Centaur upper stage separated by a two-and-a-half hour coast. The target orbit stretches 2,979 by 22,237 statute miles at an inclination of 27.0 degrees. 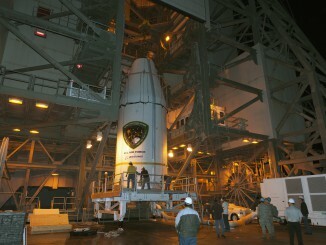 The predawn liftoff on Oct. 2 is scheduled during a window of 6:08 to 6:28 a.m. EDT. It will be the 100th flight for United Launch Alliance and the firm’s 16th purely commercial deployment mission. 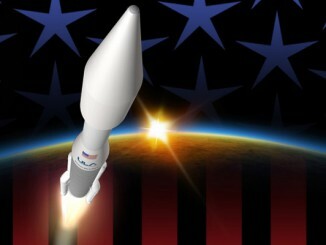 ULA is performing the flight for Atlas-marketer Lockheed Martin Commercial Launch Services.